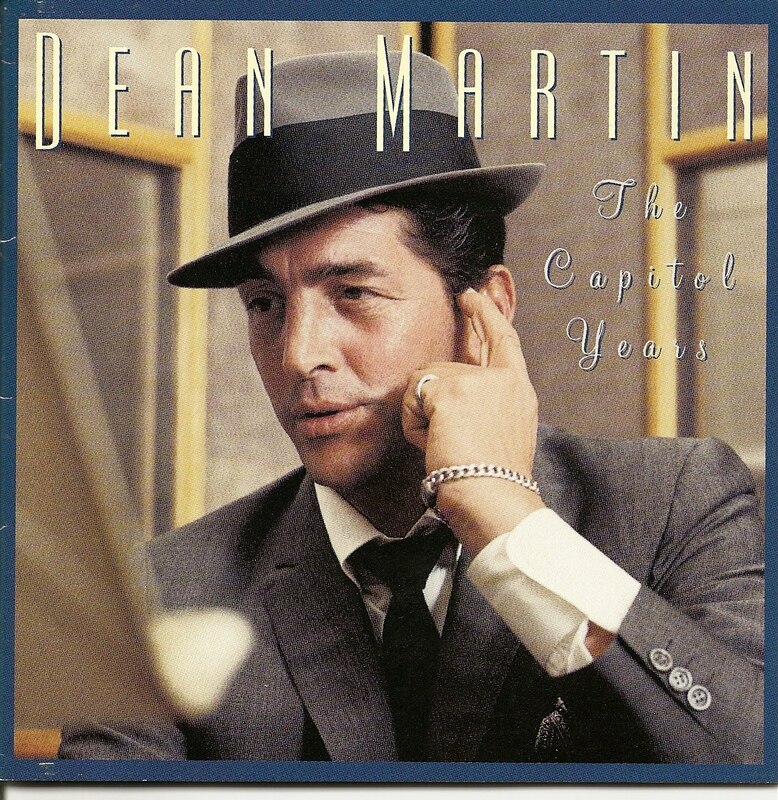 I have always been a fan of Dean Martin. I love the arrangements and of course, the singing. Dean Martin is one of the "whiskey throated" smooth voiced singers of the 1940's through the 1960's. Along with Nat King Cole, Mr. Martin was largely influenced by the sound of Bing Crosby in his phrasing of the lyrics, as compared to the earlier stylings of singers such as Rudy Valee. That difference in styling marked the change from "crooning" to what we now consider real singing. This double CD has it all, including Nat King Cole and Dean Martin's rousing duet of "Open Up the Dog House" to Dean Martin and Jerry Lewis singing "Every Street's a Boulevard", from the 1954 soundtrack of "Living It Up." The pop hits with orchestral backings are a refreshing change from the Top 40 sounds that comes over today's radio. They don't write songs like "I'd Cry Like A Baby" anymore. I'd wager, that if that recording were ever released as a single today, it would top the charts. Laugh if you will, but remember, this is the voice that knocked The Beatles off of the Top Ten in the summer of 1964 with "You're Nobody Til Someday Loves You." Who'd have thought? Some of my favorite tracks, as usual, are the "previously unreleased" stuff, which gives you a chance to see where the hits came from. It's a glimpse into the creative process that lends an extra attraction to the listening experience. It's the stuff I prefer to hear in my car, where it all seems so personal. The disc covers every genre of Mr. Martin's unique talent during the years 1949 - 1957. It includes such hits as "Sleepy Old New England Town" and "Solitaire", with their sweet sentimentality, to the rollicking renditions of "Beau James" and "Good Morning Life." And with 40 selections to chose from this collection still manages to keep you in the mood for more.